At Shannonvale we have the know how and the machinery to finish your lawn to the highest of standards to give it that fresh green finish that all cared for lawns should have. Having a nice looking and fresh lawn really sets off the look of your garden to compliment the other plants and features you might have in the garden. 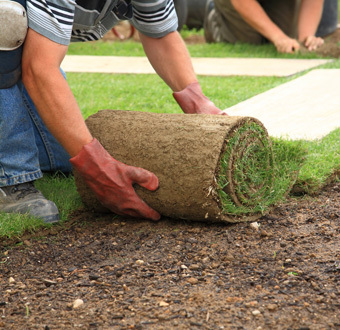 When it comes to having a good looking lawn it is vital to have the correct drainage system put in place first. This is where our skills really come to the fore by putting the correct drainage system in place first before the new lawn is laid down. No matter how bad your lawn is we can guarantee that we at Shannonvale Landscaping will design and implement the correct drainage system to have your lawn and garden looking in pristine condition when we are finished. Lawn laying is an art in itself.